The school was built after founder Dave Mustill saw a group of children being taught in the shade of a nim tree in the fishing village of Nanyano, on the coast near Winneba. As he worked for British Airways, Dave called on his colleagues to help raise funds to build a school. This was opened in Kasoa in 1996, with 7 children. It now educates well over 500 children and has a long waiting list. This is a private initiative, clearly answering a great need, which Ghana School Aid has been happy to support on several occasions. The main funding now comes from the Hartley Trust. 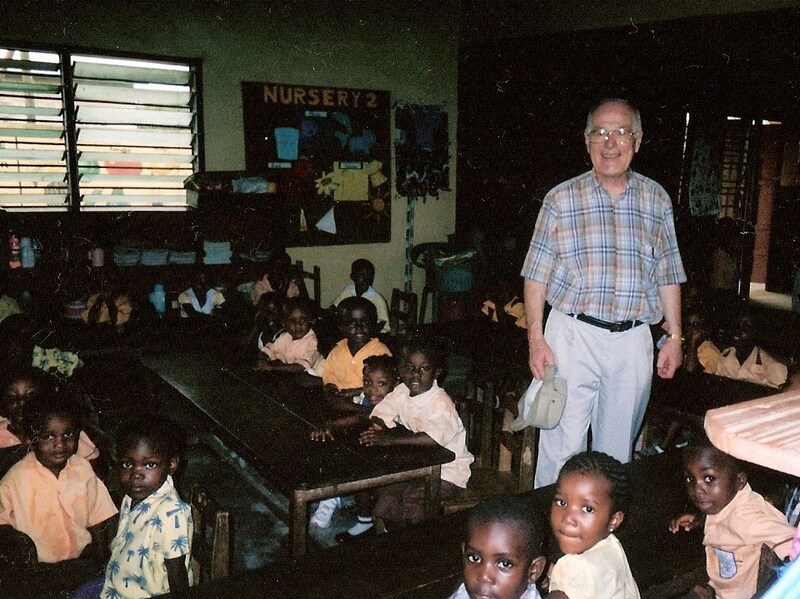 The pictures show Ted Mayne, Chair of GSA, on a visit to the school in 2009. Note the new electricity generator! UPDATE July 2015. Following David Mustill’s request at last year’s AGM, we sent a grant of £650 for the replacement of a generator. 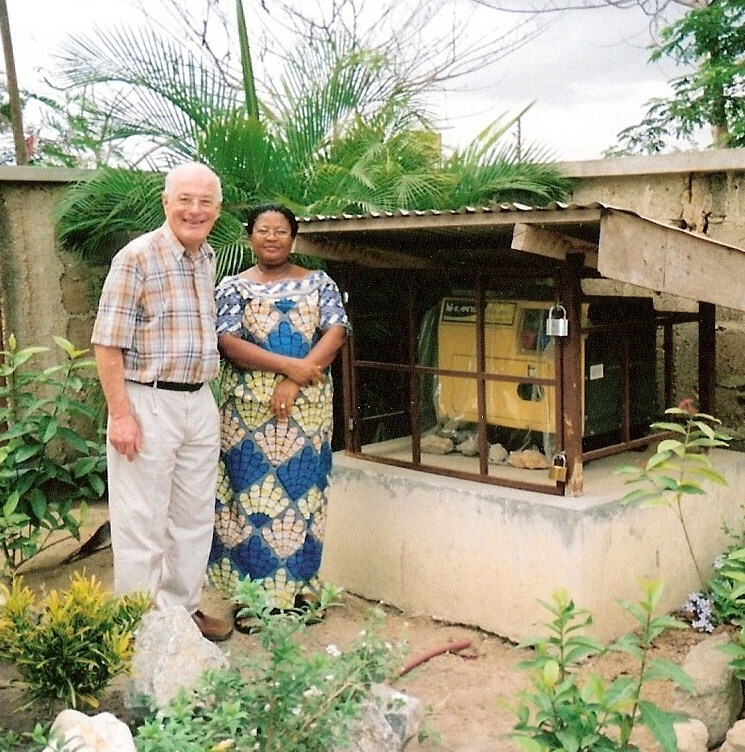 This entry was posted in Projects and tagged kasoa-educational-foundation by Penny Sewell. Bookmark the permalink.